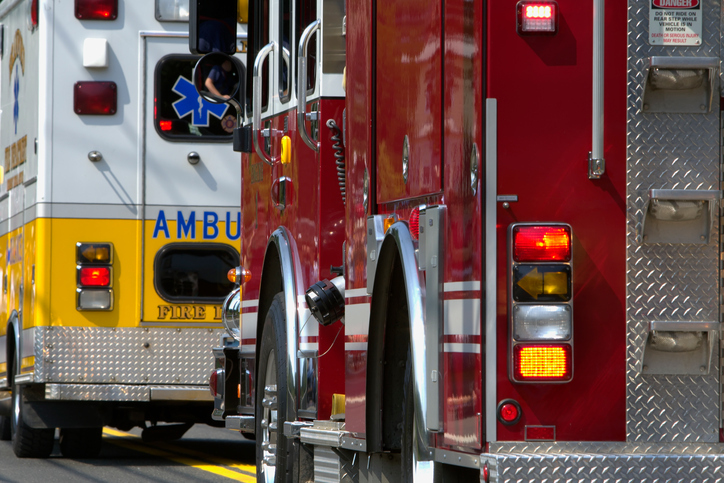 A serious automobile accident took place involving multiple vehicles, including a commercial truck and two cars in Acton, CA. The factors that led to the accident are still being investigated, but so far it appears that a commercial propane truck began leaking, before overturning. A sedan and camper were also involved in the sequence of events that led to the overturn and collision. The incident occurred at around 9:15 a.m. on April 9 on the 14 Freeway, near the Crown Valley Road exit. A total of five people sustained injuries, including a mother and her child, both of whom had to be airlifted to a nearby trauma center. Four of the five patients are also in critical condition. The crash caused a civilian camper to overturn several times. The commercial truck was carrying 2,600 gallons of propane fuel. A hazardous material crew was also called to assess the situation and contain the propane leakage. According to the Los Angeles County Fire Department, the commercial tanker started leaking, though it’s unclear how this contributed to the truck overturning. Several nearby businesses had to be evacuated, and multiple lanes were shut down. This is a very sad situation, and five people potentially have a long road to recovery. The family of the injured are affected as well. Will they be eligible to seek compensation for medical bills, lost wages and other damages? The case is still being investigated, and we cannot say with any certainty who is liable for this accident. However, it appears that that third-party negligence may have been involved. The sequence of events seems to have begun with the propane truck’s fuel leak. If investigators determine this is so, then liability may fall on the propane company. If the propane was being transported by a separate freight company, then it may bear some liability as well. Victims of the crash may have strong grounds for a lawsuit. If any of the injuries are fatal, then family members have grounds for a wrongful death lawsuit. Otherwise, the victims may have a strong case for a personal injury claim. Aside from pursuing medical costs, they may also be eligible to demand compensation for property damage. As Southern California residents, it breaks our hearts to see such incidents happen on the road. However, as personal injury lawyers, we see this all too often and represent people every day who find themselves in such tragic situations. We take great pride in fighting for the rights of those who were injured on the road because someone else acted carelessly or negligently. 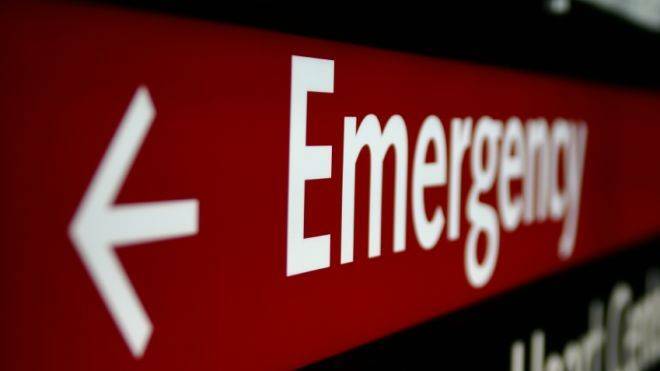 If you are hurt in an accident, please contact Ellis Law Corporation as soon as possible. We offer no-cost, no-obligation consultations, where we will discuss your case, lay out your legal options, and let you know how much money you may be entitled to receive. Our track record speaks for itself: We have won over $350 million for our clients! Call today to speak with a seasoned car accident attorney and get back on the road to recovery. Twelve people were hospitalized on Saturday, March 23, as accidents involving as many as 50 vehicles combined with thick fog to create a highly dangerous situation on the Grapevine. One of the people hospitalized was in critical condition, according to the Los Angeles County Fire Department. The others had minor injuries, including a 21-month-old child and a horse in a trailer that was rear-ended. The Grapevine needed to be closed to allow access to emergency responders. At least one car was reported as being on fire. Traffic on both the northbound and southbound lanes was delayed and backed up for miles. Police reports on this accident are preliminary. However, some general observations are in order about car accidents in southern California. Weather can be a significant factor. In this case, it appears that fog and its attendant lack of visibility caused a massive pile-up of vehicles and multiple injuries. Fog, rain, sleet, smoke from fires, and snow can all be hazardous for motorists. In the last several months, southern California drivers have had to deal with all of these hazards at one time or another. Drivers caught in low or no visibility conditions need to drive defensively. This may involve slowing down to below the speed limit. A safe driving speed is one in which drivers can stop in case a vehicle in front of them does, or in case debris suddenly appears on the roadway. Safe drivers will allow enough space in front of them to stop appropriately. Drivers must always follow California state law regarding the operation of a vehicle. If you or a loved one has been injured or killed by a driver who was not following the law or safe driving practices, let Ellis Law Corporation help. We have more than two decades of experience investigating and successfully litigating vehicle accidents in Los Angeles and the surrounding areas. All crashes can be complicated, and finding the responsible party requires thorough attention to detail. Please call today for a complimentary appointment to discuss your case with an experienced car accident attorney. We win 99.9% of the cases we take, and you owe us nothing unless we win money for you! All lanes reopened on I-5 Grapevine, several injured in pileup crash. ABC30. March 23, 2019. https://abc30.com/all-lanes-reopened-on-i-5-grapevine-several-injured-in-pileup-crash/5213919/. 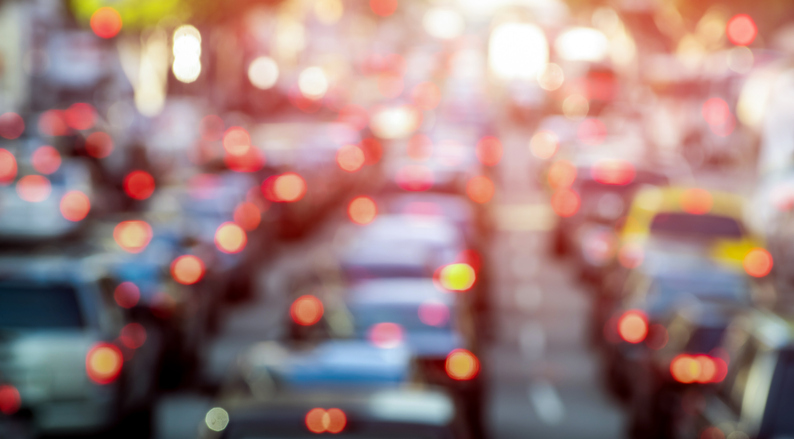 Wasting time stuck in traffic ranks high on a list of life’s most frustrating inconveniences. And if you live in Los Angeles, there is a good chance that you spend the equivalent of 3.2 work weeks stuck in traffic every year. That’s according to a new report compiled by INRIX—a transportation data tracker. The INRIX Global Traffic Scorecard, which bills itself as the “most in-depth congestion and mobility study of its kind,” states that drivers in Los Angeles lose an average of 128 hours each year in traffic jams. Of course, some areas of the city are worse than others. INRIX has also released a list of the most severely congested traffic corridors in the country, and two stretches of freeway in Los Angeles made the list. These are the 10 freeway between the 405 and the 110 (where drivers experience 19 minutes of delay daily), and the 101 between Hollywood and Downtown LA (where drivers suffer through 13 minutes of delay daily). The INRIX study asserts that this congestion costs each Los Angeles driver an average of $1,788 each year. That’s a total of $9.3 billion in losses for the entire city during 2018. These economic consequences are calculated based on factors like time loss, higher pollution rates, and higher rates of car accidents. Although the economic costs of traffic jams are definitely concerning, far more alarming is the human cost. Public safety experts have long known that the worse traffic congestion is, the higher the rates of auto accidents are. And of course, higher rates of car accidents lead to higher rates of traffic fatalities and injuries. A scientific study published by the State Highway Administration in 2003 concluded that an increase in congestion level directly correlates to an increase in accident frequency on both freeways and arterials. Rush hour is particularly hazardous for motorists, as a significant portion of accidents occur during those times. One possible contributing factor for this trend could be that drivers stuck in a traffic jam are more likely to follow too closely. Without enough space between vehicles, accidents are more likely to occur. Traffic jams are also frustrating for drivers. As frustration levels rise, drivers may be more prone to giving in to bad driving behaviors, such as using cellphones, being otherwise distracted, and engaging in reckless driving. Drivers might also grow complacent and fail to properly monitor the traffic around them. At Ellis Injury Law, we’re dedicated to defending the legal rights of car crash victims and their families. Our car accident lawyers in Los Angeles deliver vigorous legal advocacy services, which have resulted in over $350 million in settlements for our clients. After a car accident, it’s important to take action right away. There are deadlines to filing a claim. Contact our law firm in California to discuss your case and schedule a consultation with a veteran personal injury attorney. An Infiniti carrying a couple and their 7-month-old child was pushed into the path of an oncoming SUV early Sunday afternoon by another car. The couple were taken to the hospital in critical condition. The child, who was sleeping in a car seat placed on the back seat of the vehicle, was unharmed. All three vehicles were heavily damaged, and the seriously injured couple was trapped inside their vehicle. The Infiniti’s entire roof had to be taken off by firefighters to rescue the couple. Firefighters worked for approximately 45 minutes. Some news reports indicated that the two other drivers were taken to the hospital in serious condition. The accident occurred on the 12700 block of West Foothill Boulevard in Sylmar. The driver who hit the Infiniti was exiting a marijuana dispensary when he hit the left side of the Infiniti, a type of accident often referred to as a T-bone. Officials with the Los Angeles Police Department Valley Traffic Division said the driver was not suspected of driving under the influence (DWI). Initial reports indicated he did not commit a traffic violation, either. However, law enforcement officials also noted that if the crash victim(s) die, the incident could be sent to the District Attorney’s office for review of whether vehicular manslaughter charges will be filed. The LAPD Traffic Division indicated that they were gathering evidence related to the crash, including any video surveillance footage. Police reports in this accident are preliminary. However, some general observations are in order about car accidents in southern California. Drivers must always follow California state law regarding the operation of a vehicle, plus safety rules and regulations, such as the speed limit. Drivers are potentially liable for an accident if they do not follow the law and safety rules and regulations. Safe operation also requires that drivers not drink alcohol or ingest drugs to excess. Driving under the influence of alcohol or drugs impairs a driver’s judgment and ability to respond to traffic conditions. 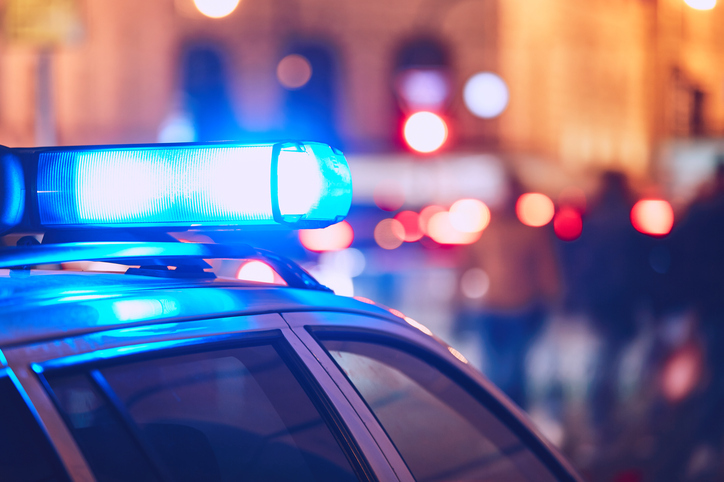 If you or a loved one has been injured or killed by a driver who was not following the law or safe driving practices, or was driving under the influence of alcohol or drugs, The Ellis Law Firm can help. We have more than two decades of experience in successfully investigating and litigating car accidents in Los Angeles and surrounding areas. Road accidents can be complicated, and proving the fault of the responsible party requires knowhow, resources and dedication on the part of your attorney. Don’t settle for less at this crucial time in your life. Please call today to discuss your case with an experienced attorney at our firm. Ganey, Steve. Three-Vehicle Crash Traps Two People, Injuries Others in Sylmar. KTLA. March 3, 2019. https://ktla.com/2019/03/03/three-vehicle-crash-traps-two-people-injuries-others-in-sylmar/. The portion of Interstate 5 known as The Grapevine was shut down due to snow, ice, and multiple accidents on Sunday, February 17. It remained closed through the night, and reopened on Monday. The closing is just the latest in southern California’s bout of unusual weather making roads treacherous for motorists. Traffic on The Grapevine might have been especially heavy because people were taking brief vacations and heading to the mountains for the President’s Day holiday. The immediately precipitating incidents were vehicle accidents, which caused the California Highway Patrol (CHP) to close the area “due to multiple collisions.” But snow and ice had slowed traffic before that. Many motorists were running out of gas due to the slowness of their progress; some were stuck not moving at all once the area closed. The CHP reports that several commercial trucks were stuck in the snow and ice. Vehicles stalled. In one case, a snow plow and several vehicles were involved in an accident in Kern county. On Sunday night, as the closure stretched on for hours, reports of stalled vehicles, spin-outs, and accidents clogged the CHP’s incident log. Big rigs on I-5 were reported stuck in ice and snow. Motorists said they were running out of gas as hundreds remained trapped in the closed section, CHP logs showed. Snow and ice brought dicey conditions to other mountain roads at high elevations. One collision west of Frazier Park, for example, apparently involved a Kern County snow plow as vehicles slid into each other. Other roads were closed due to snow and ice as well, Portions of Highway 33 near Ojai in Ventura County were closed. This is not the only closing The Grapevine has undergone this winter, but it was the most extensive. Southern California has been battered by inclement weather. The most recent was snow and ice in the upper elevations, but rain and winds have also caused traffic delays and multiple accidents – and mudslides that imperil motorists. Motorists need to take into account potential unusual weather conditions before they start to drive. If snow, ice, heavy rains, or gusty winds are forecast, it is often the most prudent course to stay home. Los Angeles residents are used to driving in conditions where weather is generally good. That attitude may need some adjustment. Bad weather can cause vehicle accidents that injure or kill. If you must drive in inclement weather, drive slowly and safely. Make sure safety equipment, such as headlights, brakes, and windshield wipers, are always in good working order. If you or a loved one was involved in any car accident, or accident from another vehicle, such as trucks and vans, during a recent bout of inclement weather, it may be a good idea to talk to an experienced southern California car accident lawyer. The cause of car accidents can be complicated. The Ellis Law Firm has been investigating and litigating car accidents in the Los Angeles area for two decades. Call the car accident attorneys at Ellis Injury Law today. All initial consultations are free. Bravo, Kristina, Megan Telles, and Kareen Wynter. Grapevine Closed, Motorists Urged to Avoid Mountains as Cold Weather System Hits in L.A., Ventura Counties. KTLA5. February 17, 2019. https://ktla.com/2019/02/17/cold-weather-system-expected-in-l-a-ventura-counties-motorists-urged-to-avoid-mountains/. A 30-year-old bicyclist was hit and killed by a car in an accident initially mischaracterized as a hit-and-run. The victim, a Hispanic man whose name was not released, was pronounced dead at the scene. Apparently, the man had been riding a bicycle around Wilshire Boulevard just west of South Berendo Street. He was hit by a BMW and dragged about 30 feet. Initially, news reports indicated he was struck by a vehicle whose driver fled the scene and then hit by the BMW. When police reviewed surveillance tapes of the area later, however, they found that no first car existed. The BMW apparently struck the man when he was lying in the street, not riding his bicycle. The BMW’s driver stayed with the victim until authorities arrived. Coroner’s office authorities told police they smelled alcohol at the scene. Police have requested that anyone who witnessed the accident contact them with information. The case is still under investigation, so it is not possible to discuss who or what caused the accident, or which parties were negligent. However, some general observations about car accidents can be made. The first is the necessity for objective investigation. Initial news reports spoke of a hit-and-run vehicle that later police review of surveillance material indicated didn’t exist. While eyewitness and other testimony can be highly important to a case, it needs to be corroborated by the facts. Second, all parties in a vehicle accident are responsible for obeying the rules of the road re safe operation of vehicles and obeying traffic laws. All parties must follow California law. Drivers may be responsible if they hit a pedestrian or a bicyclist. But both pedestrians and bicyclists must also follow traffic rules and laws, or they may be partly or even fully responsible for an accident. A pedestrian darting out suddenly in traffic may be responsible if a car is unable to stop in time and strikes them. The driver, on the other hand, should be driving at a safe enough speed that the car can be stopped in a reasonable amount of time. If any party in an accident has violated state laws about drinking while operating a vehicle, they can be charged. Car accidents can occur at any time and any place. They can involve pedestrians and bicyclists. Any party could be partially or completely responsible. Car accidents can be complicated, and there is sometimes a need to investigate the causes of a crash or a fatality. We have 20 years of experience in investigating and litigating car accidents in Southern California. If you want to discuss your accident, call the car wreck lawyers at Ellis Injury Law at 1-800-INJURED today. Kurzweil, Anthony and Christina Pascucci. Cyclist Killed in Koreatown Was Not Hit-and-Run Victim, Was Lying in the Street When Struck, LAPD Says. KTLA. February 20, 2019. https://ktla.com/2019/02/20/driver-sought-in-fatal-hit-and-run-crash-involving-bicyclist-in-koreatown/. 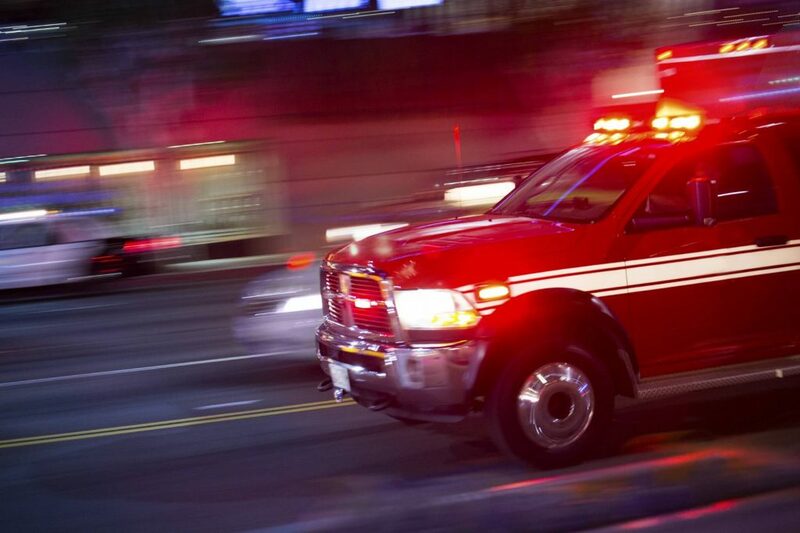 A 54-year-old Los Angeles resident was struck and killed in a car crash on Monday, February 11. The crash happened at the intersection of 82nd Street and Broadway in South Los Angeles. James Findley was bicycling at about 10:25 p.m. when he was struck. He was pronounced dead at the scene. Findley’s family held a vigil at the intersection on Tuesday. The car crash involved two vehicles that were speeding on South Broadway near West 82nd Street, one of which struck Findley. Several parked cars in the vicinity also sustained damage. The driver of the car that killed the bicyclist stopped after the crash and was detained by the police. The driver of the other car sped away. That individual is currently being sought by investigators. According to CBS Los Angeles, the driver who was detained admitted to the police that he was engaging in an illegal street race. He now faces manslaughter charges. “The way my brother looked, [the other] car got damaged, you know? Turn yourself in, cause my brother didn’t have to die this way,” said Sharon Findley, the sister of the decedent, speaking to the driver of the other car that sped away from the scene of the accident. Findley leaves behind eight additional siblings and an adult son. The specifics of the Findley case are unknown. In general, however, there can be complex liability issues involved with bicycle and pedestrian accidents. Personal injury lawyers who evaluate accident cases look for evidence that points to the cause of the accident, which can indicate which party was at fault. Lawyers also consider whether either party may have violated any traffic regulations prior to the crash. Both bicyclists and drivers have the right to use a roadway, unless a specific regulation directs otherwise. This means that drivers must exercise reasonable caution, such as by only passing a bicyclist when it’s safe to do so, and by providing a safe amount of space between the car and the bike. Intersections are particularly hazardous for bicyclists. Drivers are responsible for only turning when it’s safe to do so, and for keeping an eye out for nearby bicyclists. Similar issues apply to pedestrian accidents. While pedestrians would be at fault for wandering out into the middle of a roadway with oncoming traffic, drivers would be at fault for failing to exercise reasonable caution, such as by stopping at crosswalks and leaving enough space between the car and the pedestrian. For over 25 years, the personal injury attorneys at Ellis Injury Law have been representing injured victims and their families. We’ve recovered over $350 million in settlements for our clients through our effective legal advocacy work. Nothing can erase the effects of an accident or bring back a lost loved one. But you may find a sense of closure in pursuing justice on behalf of yourself or your family. Get in touch today to request a one-on-one consultation with a car accident lawyer in southern California.